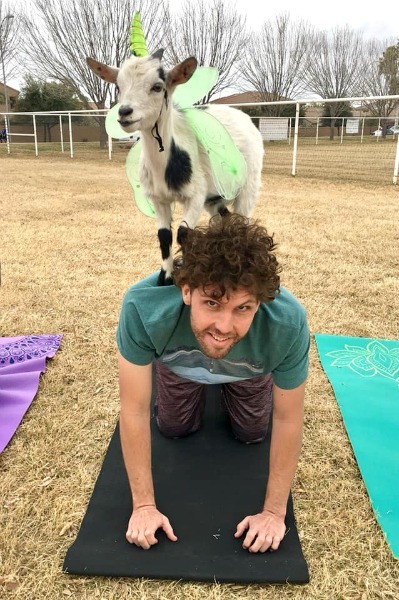 For our February date (from our Year of Dates) we did something truly unique – GOAT YOGA! 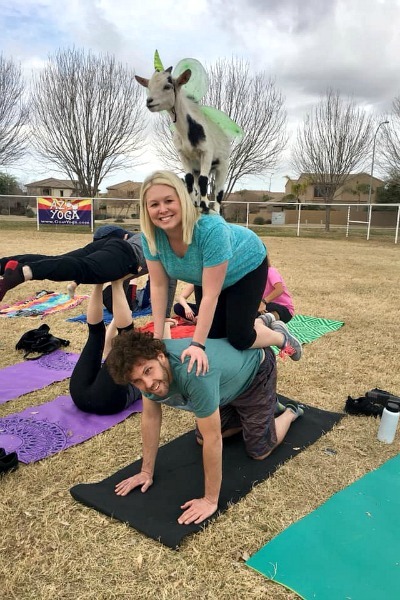 April (a goat farmer) and Sarah (a yoga instructor) started Goat Yoga in Gilbert, AZ in 2015. It’s now one of the top 10 things to do in Arizona! Classes are offered year around and most are on Fridays and/or Saturdays. We went to a morning class, but they occasionally offer sunset classes too. Classes are $15/person and are worth every penny. Our class started at 10 a.m., but we arrived about 20 minutes early and were able to get a spot in the inner circle and had time to pet the goats before it got crazy. 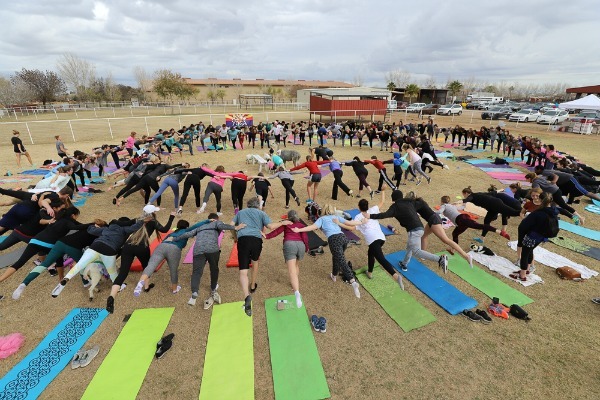 You’ll need to bring your own yoga mat to the class. Otherwise you’ll have to rent one for a small fee. Honestly the yoga moves are pretty basic, so if you don’t have a yoga mat, a beach towel would also be fine. There are about 100 people in each class, but don’t stress about not having enough time with the goats. The class is about an hour long, but that last 15 minutes or so is mostly just to take pictures of poses with the goats. The helpers will bring around the goats and you’ll have an opportunity to get your picture with one. 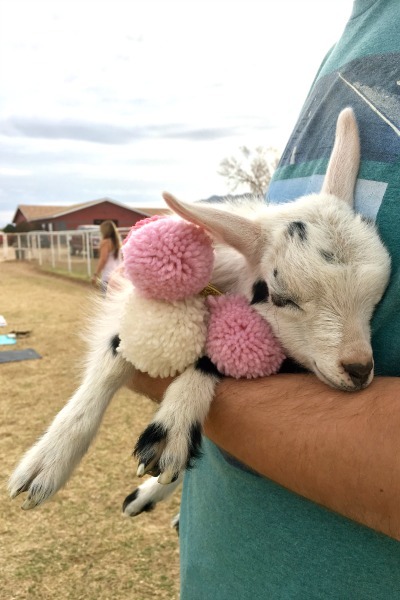 You’re also welcome to hang out afterwards for pictures and baby goat cuddling. I was worried during class that I wouldn’t have a chance to hold one of the babies, but I had plenty of opportunities afterwards. As I mentioned above, the poses are very basic, so if you’ve never done yoga, no worries. It’s mostly just a good opportunity to stretch and play with baby goats. By the way, did you notice the costumes? 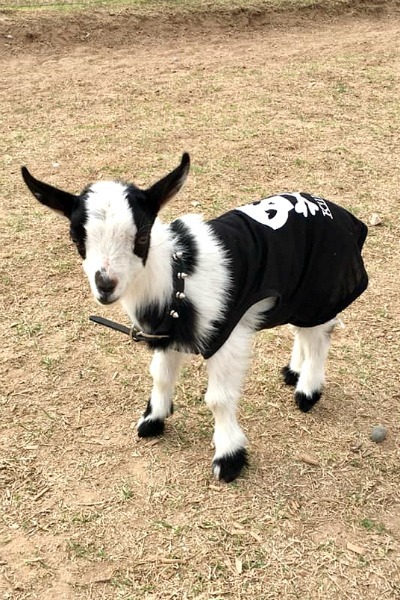 All the goats are dressed up in different costumes and it’s adorable! Be sure to bring friends or make friends with the people next to you. You’ll need them to take pictures of you with the goats. There’s a professional photographer at every class, so you don’t HAVE to worry about pictures, but we got so many great ones on our own and thanks to the lady next to me. 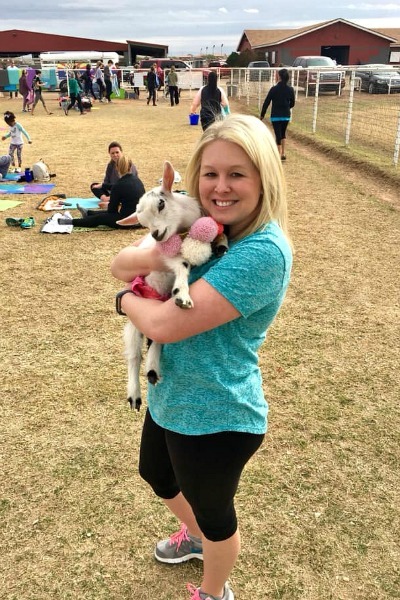 We had such a great time at goat yoga. Everyone is friendly and excited to be there, so it’s a really fun atmosphere to be in. 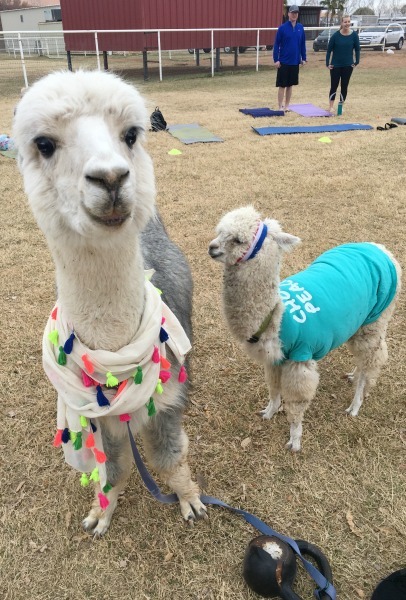 They also have a pair of alpacas (Napoleon and Kip) available for photo ops. Isn't that little alpaca the cutest thing ever?!?! I think this is awesome! 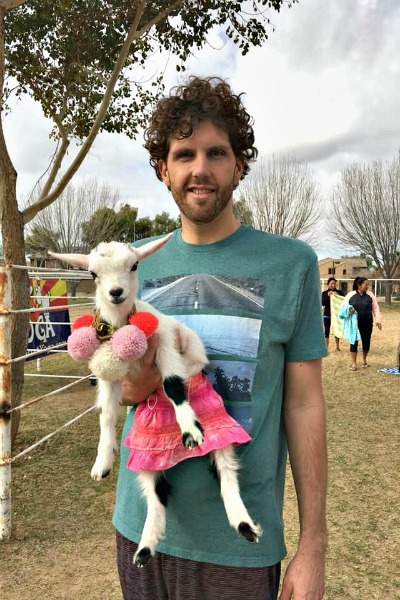 I love goats! 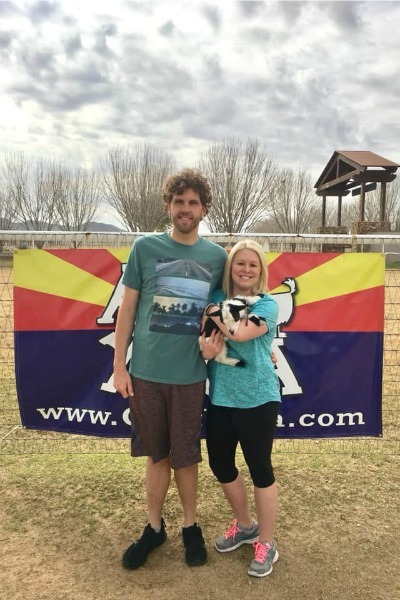 We just recently moved from the Gilbert area, otherwise I’d be all over that! This looks like so much fun! My nephew is opening his own yoga shop and I have come to love yoga because of his passion and I love how it makes me feel! I was AZ wasn't so far away! Great pictures! 3 Days in Washington D.C.